Need to hoist a sofa, table-top or other item to your high floor balcony? How about an exhaust fan or light A/C unit to the roof? Our RGC HS2000 swing hoist may be the perfect piece of equipment. 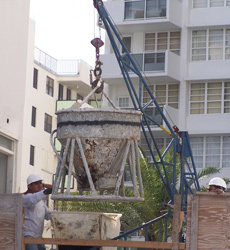 The layout of many buildings precludes us from using a crane in many instances because of access issues or because of pool decks and/or underground parking. The RGC HS2000 is setup on the roof and eliminates these issues. 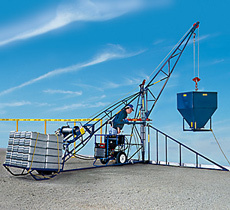 With vertical reach capability of nearly 300′ and capacity up to 2000lbs the RGC HS2000 is a very useful piece of equipment. Designed by IDEAS Design, Inc.